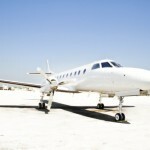 Monarch Air Group provides private air charter in Freeport, Bahamas. Our clients benefit from top-notch service, unrelenting dedication to safety, wide selection of aircraft, and years of experience in chartering private jets. To obtain a free quote, please use our online quoting tool provided below, or call toll free 1-877-281-3051. Based out of Ft. Lauderdale, we offer convenient on demand private aircraft from our fleet not only to Freeport but also throughout the Caribbean and beyond. For flights to Freeport, we offer the Chieftain Piper Navajo, the Hawker 400XP and the Metro Liner II from our fleet. With these aircraft, we are able to fly into the Grand Bahama International airport, which is in operation 24 hours and day and seven days a week, this gives you a wide array of flight times and comes equipped with the convenience of U.S. Customs. The Piper Navajo offers passengers a cozy, comfortable and safe flight to Freeport. The cabin, configured to seat up to seven passengers, is equipped with fold out tables for refreshments or last minute projects. 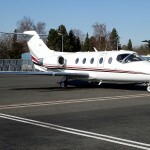 The characteristics of this jet offer a quiet and comfortable flight to your destination while providing a baggage area with sufficient space for small handbags and suitcases. 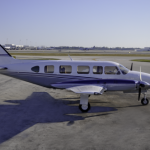 The Piper featuring twin-engine pistons has a range of approximately 500 miles, allowing for easy accessibility to Freeport. Arranged to accommodate a larger group of passengers the Metro Liner II can seat up to 9 passengers in comfortable leather seats and round shaped windows that take full advantage of the natural light. With bounteous space, the baggage area is able to hold small suitcases or sporting equipment. Two Pratt & Whitney engines allow the Metro Liner II to achieve approximately 1,314 nautical miles. Equipped with an oval shaped cabin, the Hawker 400XP offers passengers ample room to stretch out and relax during the flight. This jet also offers a full private aft lavatory and a baggage area that holds several pieces of luggage. The two Pratt & Whitney engines offer fuel efficiency while providing a range of approximately 1,333 nautical miles. So, when considering your next flight to Freeport in the Bahamas and you are in need of functionality aligned with dependability and safety, Monarch Air Group can provide you with great service and the convenience of on demand air charters while making safety and dependability an upmost priority.